There have been some arrests, but the terms of reference of the inquiry ordered are crucial. An unbridled communal mob took cow vigilantism to the next level when it attacked a police station at Siyana village in Bulandshahr district of western Uttar Pradesh on Monday, shot dead the station house officer, and burnt police vehicles. 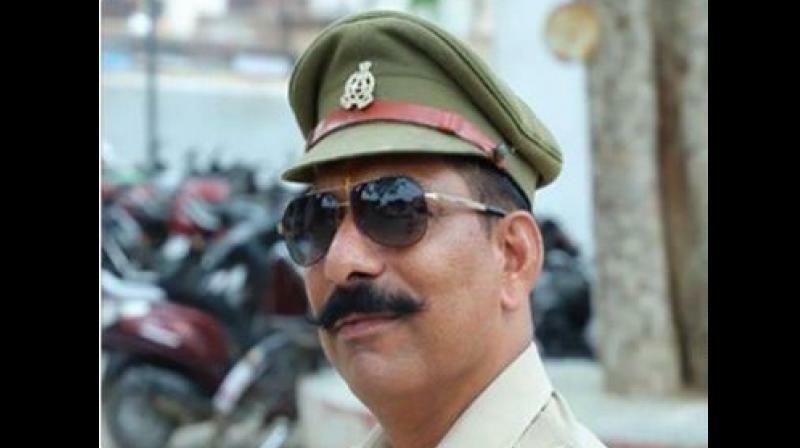 News reports indicate that SHO Subodh Kumar Singh was practically hunted down by a mob instigated by the Bajrang Dal, which sections of the media still call a “fringe” group. Outfits like the Bajrang Dal receive the informal patronage of those in authority, causing them to expand their influence — a frightening parallel with the rise of armed religious extremism, and terrorism — in several countries in our neighbourhood. Singh had been the investigating officer in the shocking Akhlaq murder by local gangs of the Bajrang Dal and other Hindutva outfits in 2015 on rumours of beef storage at Dadri. His prompt police work had led to the arrest of some of the accused. This gives a colour of revenge to the SHO’s slaying. Three years later, that trial is yet to begin. We hope that story isn’t repeated this time. The deceased SHO was trying to placate the stone-throwing mob, which had gathered outside the police station with a tractor loaded with some cow carcasses, and claimed these had been recovered from a forested area nearby. This has to be ascertained, and if found true, the guilty must be traced and brought to justice as cow slaughter is banned in UP. But on no account can a mob be permitted to take over. Regrettably, the actions and words of the far-right Hindutva-oriented chief minister, Yogi Adityanath, who withdrew all the cases of rioting against himself soon after becoming CM in early 2017, appears to have emboldened criminal gangs operating to protect so-called Hindu interests while spinning the false narrative that Hinduism is in danger in India. This seems a replay of the State-backed battlecry in Zia-ul Haq’s Pakistan in the 1970s-80s that Islam was in danger in his overwhelmingly Muslim-majority nation. These policies and State encouragement to select extremists that followed gave rise to internationally infamous terrorist outfits like the Lashkar-e-Tayyaba and Jaish-e-Mohammed, besides others. Is India treading a similar path? If so, it risks hurtling toward becoming ungovernable, much as Pakistan is today. When SHO Singh was seriously injured by stones flying about him, he was carried to his vehicle by policemen who sought to rush him to hospital. But the baying mob chased them and one among them shot Singh from close range, killing him, as early reports suggest. There have been some arrests, but the terms of reference of the inquiry ordered are crucial. These must aim to get at the basic facts, and not to show favours to criminals.